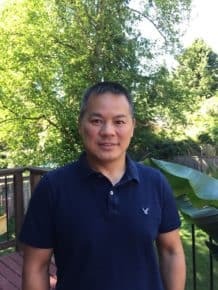 North Vancouver RCMP Staff Sergeant Philip Yong is fulfilling a dream nearly two decades in the making. The father of four has decided that this is his year to take part in the annual Cops for Cancer fundraiser – and as the only North Vancouver RCMP Member to be saddling up for the full 2018 tour, he wants to put his best foot forward when he and approximately 40 other cyclists push off on September 19. Camp Goodtimes is a medically-supervised summer camp that allows kids and their families living with cancer to enjoy the great outdoors as kids – not as patients. Each year almost 600 young people and family members are able to have a holiday getaway together thanks to the hard work of camp and medical volunteers and the generous support of donors. Philip expects to find cycling up some of the long hills tough – but everyone involved in the Cops for Cancer event is well aware of the far more daunting hardships faced by young cancer patients and their families. Its goal this year is to raise over $500,000; currently the total stands at about $150,000. Philip is asking LynnValleyLife readers to please consider donating toward his goal at this link, or to take part in one of the event’s upcoming general fundraisers. Cops for Cancer is a fundraiser of the Canadian Cancer Society. Over the past number of years, the plight of refugees has become increasingly real to those of us in North Vancouver, as news photos have brought home the desperate circumstances of men, women and children trying to find safety… and those who perish trying. Lynn Valley folk are among the many in Canada who have stepped up to provide a safe place to land. 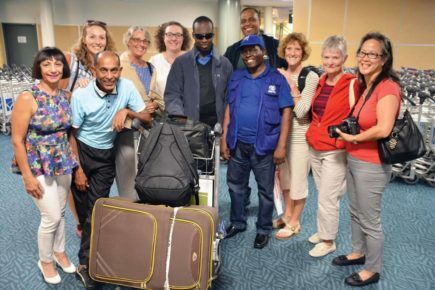 Various individuals, organizations and churches have tirelessly raised funds to bring refugees to the Lower Mainland – and waited, often months, to finally get the call saying that their chosen person or family will be arriving at the Vancouver airport within days. From then on it is a full-on press to secure inexpensive housing (!) and donated furniture, and to swing into action providing English language practice, orientation to riding transit and other aspects of a totally unfamiliar culture, school registration, visits to doctors and dentists, instructions on how to shop for food, and simple companionship. REST is the Regional Ecumenical Sponsorship Team – a group of North Vancouver Anglican, Lutheran, and Presbyterian churches (and friends) that over the last three years has successfully sponsored a number of Somalian and Syrian refugees to Canada. REST, which includes St. Clement’s Anglican Church in Lynn Valley, is now preparing to sponsor seven more refugees from the Democratic Republic of the Congo, Iran and Syria. A major event at St. Clement’s on June 2, 2018 (6 to 9 p.m.) will help raise part of the necessary $27,000. The REST FEST will feature live music from a variety of talented musicians, as well as a silent auction and bake sale. Items to be auctioned include meals catered for a group at your home – a Syrian dinner or a gourmet waffle brunch, for example – personal fitness training, beautifully sewn quilts and afghans, gorgeous gift baskets, and much more. A table of locally crafted pottery will also be for sale. 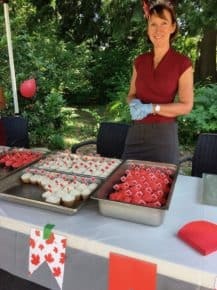 The bake sale at the intermission will keep people happily snacking during the rest of the concert, which will feature a number of local musicians. 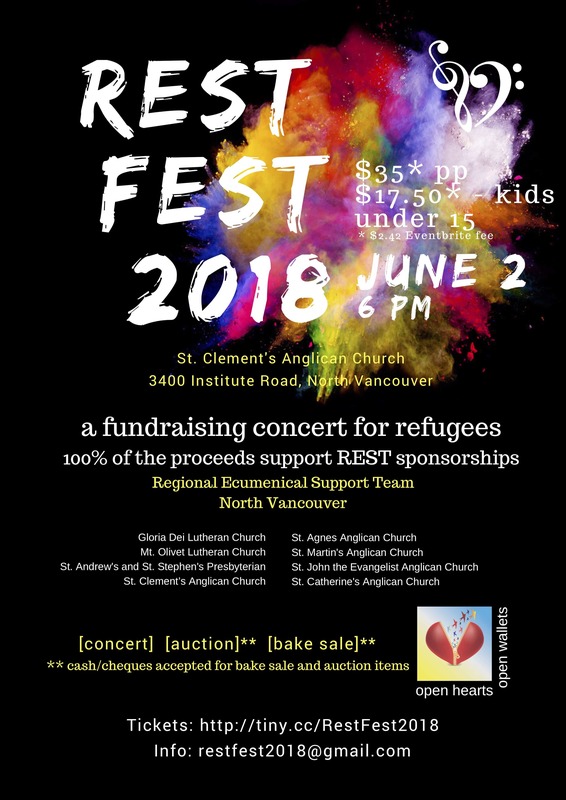 The REST FEST would like to make sure this is a sell-out event, as 100 per cent of the proceeds will be used to settle the refugees into their new life. Tickets are available online at this link, and further details (such as how you might donate a silent auction item!) are to be found here on the St. Clement’s website. St. Clement’s is located at 3400 Institute Road, opposite Lynn Valley Park. The Lynn Valley Community Association and the Lynn Valley Seniors Association are working together on the 2018 Lynn Valley Annual Park Project. The location this year is an area of Princess Park near the bridge and dog play area. Park in the parking lot off Princess Avenue. Meet at the Lynn Valley LINK Kiosk which is a short walk down the main paved trail in to the park. The Park Project will take place on Saturday, April 28, 2018, from 9:00 am to 1:00 pm (come for all or part). The focus of this community event will be on restoring a section of the park just west of the bridge. District crews will do some preliminary work ahead of time leaving us to restore the natural vegetation and lay down mulch. 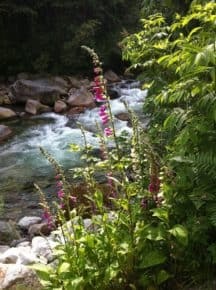 We will be doing basic gardening work, removing invasive plants, planting natural vegetation, cleaning litter and anything else that needs to be done with the direction and support of the DNV Parks Department. Do join us for this fun and productive day. We have work for every level of physical ability but we won’t let anyone overdo it. Dress for the weather, as this is a rain-or- shine event! Sturdy boots or shoes, working clothes and gloves are recommended, as it could be muddy! Coffee and snacks will be provided but please bring your own water bottle. Field Trip! Check out the (old) museum and (new) gallery! The North Vancouver Museum – the one tucked away quietly at Chesterfield and West Fourth Street for decades – is shutting up shop at the end of April. That’s good news – it’s all in preparation for the exciting new museum to be built adjacent to Lonsdale Quay – but at the same time it’s always hard saying goodbye to an old friend. So why not pop down for a look at the displays while you have the chance? Take a glimpse into the kitchens, school rooms and shops of early North Vancouver, and peek into the wall-mounted memory boxes that encapsulate the reminiscences of some of our neighbours who grew up here – among them well-known volunteer Del Dimock and North Shore News photographer Mike Wakefield, both residents of Lynn Valley. 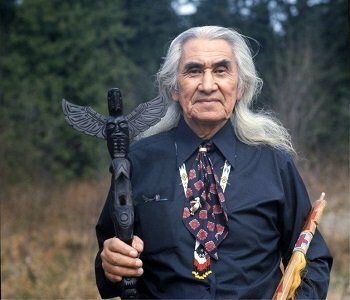 Featured currently is an exhibit on Chief Dan George: Actor and Activist, and it’s a thoughtful window into the chief’s extraordinary life that played itself out here on the shores of Burrard Inlet, on the ancestral lands of the Tsleil-Waututh Nation, as well as in Hollywood where George was best known for his role as Old Lodge Skins in Little Big Man, playing alongside Dustin Hoffman. Chief Dan George’s voice continues to be heard in his evocative writings about the indigenous experience of the land, as in his collection of verse that includes the title poem, My Heart Soars. The North Vancouver Museum is open by donation, from Thursday to Sunday, noon to 5 (closed stat holidays) and the address is 209 West 4th St.
From the old to the new, you can then take a trip into the much different environment of the Polygon Gallery, the modern silver-sided building located on a new inlet-edge walkway between Tap & Barrel and Lonsdale Quay. Open by donation until the end of 2020 with the support of BMO Financial Group, the Polygon Gallery is showcasing photos and artworks that reflect North Vancouver – past and present – back to its citizens in myriad forms and styles. Be sure to pick up the info-packed guide to the N. Vancouver exhibit, and visit the second-floor bookshop for photo and art books on a range of topics and places. The Polygon Gallery is open from Tuesdays through Sundays, 10 a.m. to 5 p.m. More info is right here. The deadline for the Vancouver Foundation’s Neighbourhood Small Grants is fast approaching. You have until April 9 to take advantage of this growing program. Each year many locals take advantage of the $50 – $500 grants given to fund community initiatives. Since 2011 the North Shore has been apart of the Vancouver Foundation’s Neighbourhood Small Grants program. The grants are given to projects that bring people together, share skills and knowledge, build a sense of belonging, responsibility, and respect and celebrate diversity, according to the Foundation. For most projects the most labour-intensive piece is creating a budget. 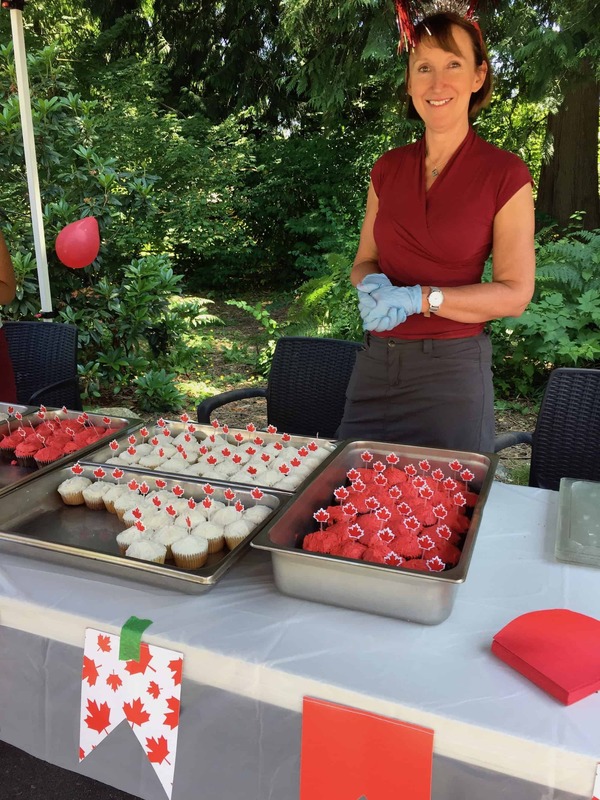 The Samlers’ block party was one of a handful in Lynn Valley last year funded by the grants and is a typical project that the Foundation funds. Other projects on the North Shore included gardening, food, beekeeping, emergency preparedness and craft workshops, invasive weed pulls, intergenerational programs, Little Free Libraries and others. Samler says the – now annual – event has fostered a more open neighbourhood. Sometimes the grants are what give legs to an idea, said Alsop. The deadline for applications is April 9th. For more information or help with applications contact the North Shore Neighbourhood House at 604-987-8138. An interesting news release from the Lynn Valley Library, especially for young readers who are dog lovers! North Vancouver District Public Library is thrilled to announce a new program aimed at encouraging children to further develop their literacy skills by reading aloud…to a dog! On Wednesday evenings from January 17—March 14, local children have the opportunity to come to read to Starr, the friendly Great Dane, at Lynn Valley Library at the Paws 4 Stories program. Paws 4 Stories is a St. John Ambulance Therapy Dog Community Service program that is designed to assist in helping to improve reading skills of children. Reading to a certified therapy dog has been shown to be motivating and calming to readers, and can potentially help children change their approach to reading. It can be particularly beneficial for children who may be hesitant or anxious about reading. The program is recommended for children ages 6 -12. Children can sign up for up to three twenty minute sessions while the program is running, but space is limited and registration is required. Those interested in participating can call 604-984-0286, ext. 8141 or visit the Lynn Valley Children’s Desk to register. LynnValleyLife is looking for this year’s Good Neighbour! If you’ve been following LynnValleyLife for a while, you’ll know that one of our favourite times of the year is the lead up to our annual Good Neighbour Award. All year ‘through we keep our ears to the ground for people who represent Lynn Valley at its finest – whether it is through acts of quiet kindness or participating in more public “passion projects” for a good cause. Last year’s recipients were Dave and Wilna Parry, who opened their doors to a blind Somalian refugee, and the year before that it was Cath Bates Dimmock, a volunteer coach who has given heart and soul to Argyle’s gymnastics program. Other times recipients have been people whose name you might not have heard before, but who are heroes on their street or in their organization for all the help they give to others. Love the neighbourhood? Write for LynnValleyLife! 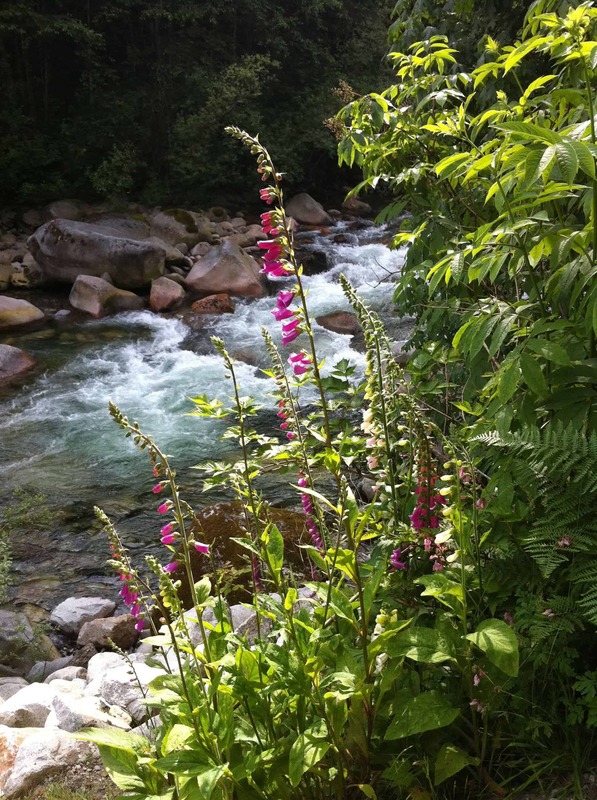 We know how many of our followers love stories on local recreation, neighbourhood history, interesting Lynn Valley personalities from past or present, or the scoop on new municipal initiatives or retail options. So we’re looking for a few Lynn Valleyites who want to help populate our pages with the local low-down! We’re looking for a special sort of writer who shares our goals – someone who is interested in strengthening the Lynn Valley community, sniffing out stories with local interest for the neighbourhood, and in general having FUN on the “beat.” We’re looking for someone whose style is friendly and engaging…. but consistently professional. Just because we like informality and sometimes a certain “chattiness”, it doesn’t mean we’re cool with typos, sloppiness (i.e. missing information, wrong addresses, unreliable facts, etc), or a low standard of journalistic ethics. Give thanks, and give food! It’s almost Thanksgiving, and LynnValleyLife is hoping everyone can have a share in the harvest. This year we are teaming up with St. Clement’s Anglican Church to help people with enough food on their table make sure the same goes for their neighbours. Thanksgiving has long been celebrated as a time of gratitude at the end of the harvest season, and if you would like to express your gratitude in a tangible way – with garden produce or a bag of groceries – your contribution would be much appreciated! Pumpkin patches to spring up in Lynn Valley! It’s almost that time of year for the Great Pumpkin to descend once again (whether Linus sees him or not!) to transform a Lynn Valley field into a magical pumpkin patch. On October 14th starting at 11am, there will be Halloweeny fun for all ages, hosted by the Lynn Valley Parent Participation Preschool and Lynn Valley Elementary. We are proud to once again be sponsoring these two family-friendly events!